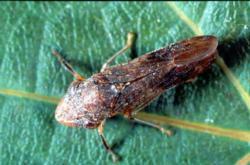 Approximately 1/2 inch (11 to 13 mm) long. Body shape is parallel-sided with a pointed head. Wings are partly transparent with reddish veins, folded flat over the body. Dark brown to black in color with ivory white undersides and belly. Top of head has small, ivory-to-yellow spots. Muscles that operate the feeding pump give the face a swollen appearance. 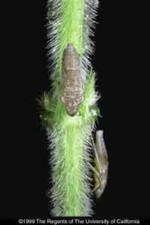 Length of hind tibia has two rows of small spines. While resting, they shift their bodies from side-to-side (inspiring the name "sharpshooters"). 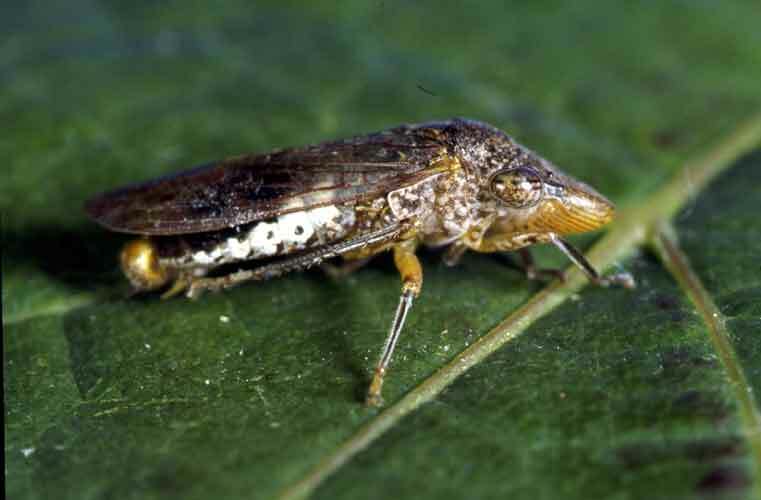 The Glassy-winged sharpshooter has five nymphal (immature) stages. Nymphal length ranges from 1/16 inch (2 mm) long for the first stage up to 3/8 inch (9 mm) for the fifth stage. 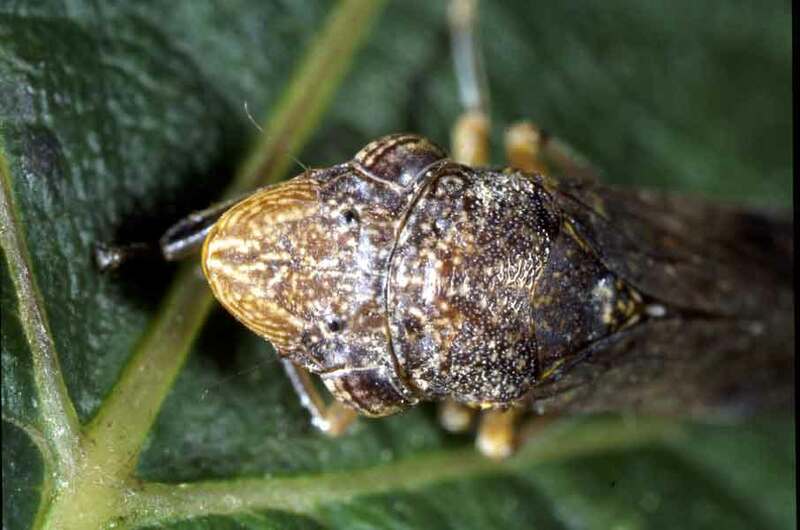 Nymphs are olive-gray with prominent reddish eyes. Immatures are wingless and have softer bodies. 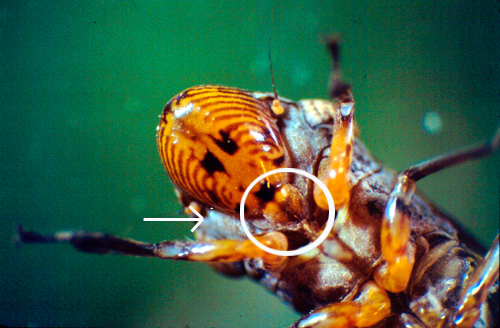 Immatures have piercing/sucking mouthparts and a bulging face.